Steven Samlalsingh president of the Presentation College Past Students Association. SINCE 2011 past students of Presentation College, San Fernando, have been partying with a purpose... for profits for the school which educated them. And since then, they have been raising money while having fun with friends. Chairman of The Prestige Past Students Foundation, Steven Samlalsingh said to date they have raised approximately $4 million, which has been used to facilitate multiple school projects including new structures, repairs and sporting facility refurbishment. PREStige’s success has also extended itself far beyond the confines of the college, with a major downstream impact on south based businesses, from food vendors to fashion houses, he said. On Sunday, as has become customary three weeks before Carnival, revellers, music lovers and connoisseurs of fine food and premium drinks will make their annual trek to the PREStige All Inclusive Fete at Presentation College located on the foot of the San Fernando Hill from 5 pm. Guests can look forward to partying with some of the top artistes from Kes the Band, Dil-E-Nadan, Preedy, Patrice and Voice and DJs Nuphoric, Ana, Ultra Simmo and more. 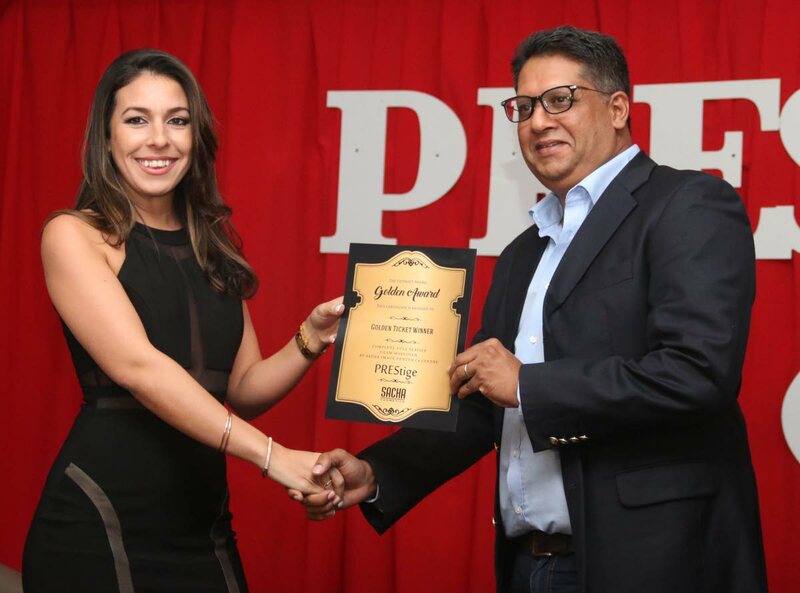 “PREStige is a colourful self-expression of indulgence, fun and camaraderie, known for its beautiful patrons with smiles painted across their faces from the moment they enter the event,” Samlalsingh said. 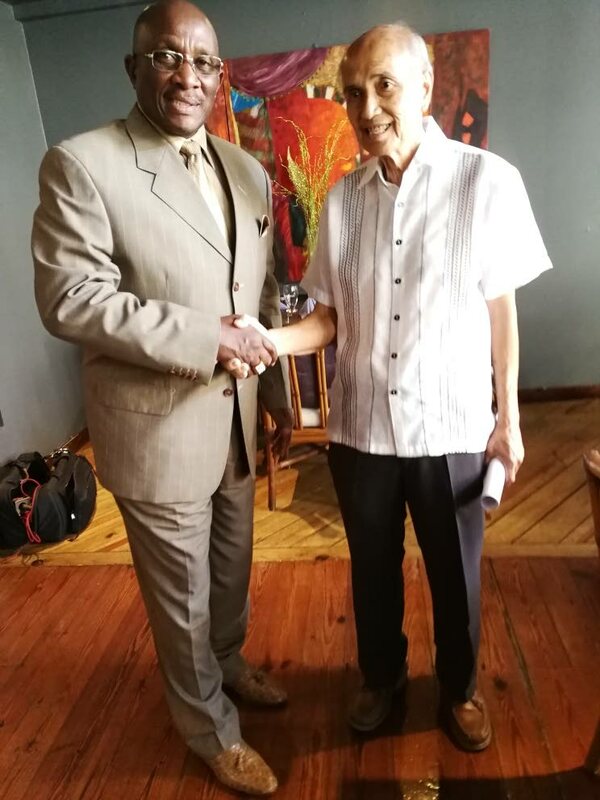 Fred Chin Lee, owner of the new and improved Normandie, The Hotel at right, is greeted by Winston “Gypsy” Peters , chairman of the National Carnival Commission, at the launch of the hotel’s Under The Trees Carnival programme. He took the Newsday on the PREStige journey since its debut on the local Carnival scene nine years ago, from conceptualisation to a successful and unique high-end party experience. Over the years, PREStige has carved its own space as one of the top fetes in the Carnival industry and the single premium Carnival event in south. He said it began with the desire of a small committee of dedicated past students, who pooled their professional expertise and took a leap of faith to host the all-inclusive fete in the south as an innovative way of creating revenue for the school. “This group of Pres-men has since grown in numbers and support and continues to maintain a high-quality approach while developing new structures and cutting-edge ideas creating exciting innovations,” Samlalsingh said. Samlalsingh said the event organisers have introduced a brand new and spacious entrance that will be opened one hour before fete time. There will also be pampering stations along with some other surprises he remained tight-lipped about. At the launch of the fete one lucky patron won a Golden Ticket courtesy PREStige in collaboration with C3 Centre. The Golden Ticket holder has been gifted with two festival tickets, executive transport to and from the event for themselves and six friends, inclusive of complimentary champagne and clothing, makeup and men’s care vouchers courtesy participating sponsors. The winners and their guests will be hosted on the PREStige hospitality platform and will gain access to the backstage area, where they can meet with their favourite artistes. Tickets for the event are available from committee members, all branches of Nigel R Khan Booksellers, 519 Restaurant and Bar at C3 Centre and for the first time at PREStige, online purchases can be made via Tego. Reply to "Prestige…. partying with a purpose"